Based on Robert Fulghum's best-selling books! Based on Robert Fulghum's best-selling books, Kindergarten takes a funny, insightful, heart-warming look at what is profound in everyday life. It's an evening of theatrical storytelling in revue format, with monologues, dialogues, and multiple voice narration, enhanced through the use of live piano underscoring. 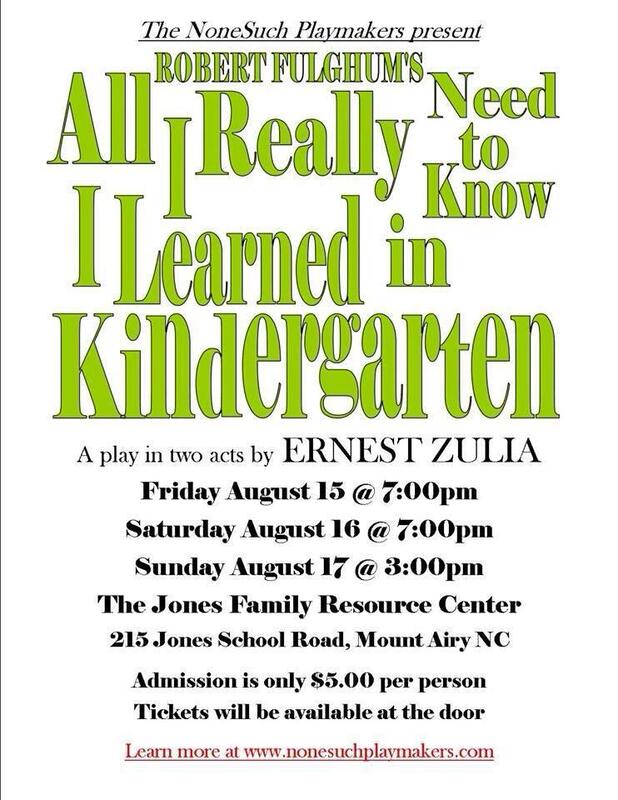 This production includes material from Robert Fulghum's books: All I Really Need To Know I Learned In Kindergarten, It Was on Fire When I Lay Down On It, Uh-Oh, Maybe, Maybe Not, and From Beginning to End. Check out rehearsal photos here!